On February 12, 2015, the leaders of Ukraine, Germany, Russia, and France worked out a reconciliation deal including 13 points aimed at ending the military confrontation between Kiev forces and independence supporters in eastern Ukraine. The deal includes an unconditional ceasefire coming into force at midnight on February 15, urges Kiev to undertake constitutional reform with a focus on Ukraine’s decentralization, as well as stipulates the withdrawal of all foreign armed groups, equipment and mercenaries from eastern Ukraine under the observation of the OSCE. Ukraine does not want Russia's presence if its proposed Organization for Security and Co-operation in Europe (OSCE) armed mission is deployed in the eastern regions, Ukrainian Foreign Minister Pavlo Klimkin said Thursday. The impasse in efforts to resolve the conflict in eastern Ukraine is the result of efforts by the government in Kiev to “twist” the Minsk agreements, Russia’s United Nations Ambassador Vitaly Churkin told reporters on the sidelines of a UN Security Council meeting Tuesday. The implementation of the Minsk agreements aimed at stabilization of the situation in Ukraine is moving at a slow pace, though it helped to avoid a full-fledged military conflict, the German foreign minister said on Monday. According to the Ukrainian President, Ukraine allegedly does not have any secret agreements with western countries on implementation of the Minsk accords. 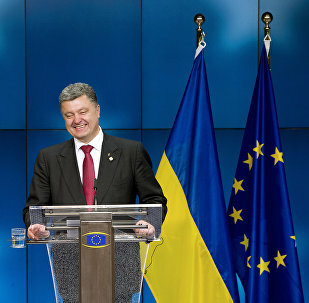 The EU will establish a visa-free regime with Ukraine before November 24, Ukrainian President Petro Poroshenko said on Sunday. The leaders of Germany, France, Russia and Ukraine will gather in Berlin on October 19 for the so-called Normandy format summit, German government spokesman Steffen Seibert said Tuesday. 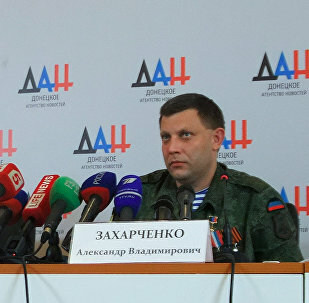 Murder of the self-proclaimed Donetsk People’s Republic military chief Arseny Pavlov known as Motorola allegedly committed by Ukrainian security forces is a violation of ceasefire in the eastern region of Donbass and a declaration of war, DPR head Alexander Zakharchenko said. The Ukrainian government continues to conceal its domestic issues with so-called Russian aggression, hindering progress in carrying out reconciliation agreements, Russia’s permanent representative to the Organization for Security and Co-operation in Europe (OSCE) said Friday. Moscow does not oppose holding Normandy Format talks on the Ukrainian crisis settlement, according to the Kremlin spokesman. 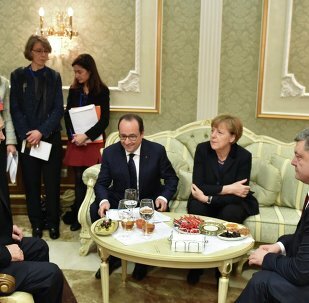 French President Francois Hollande urged Kiev to implement the Minsk agreements and said Paris and Berlin were ready to hold Normandy Format talks "at any moment". 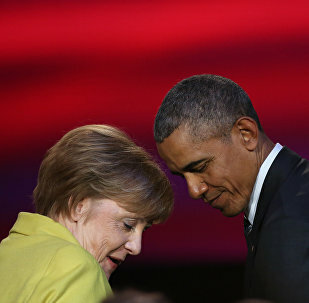 US President Barack Obama and German Chancellor Angela Merkel discussed in a phone call on Thursday the urgency for both sides of the conflict in Ukraine to adhere to the cessation of hostilities, the White House said in a press release. Russia's deputy foreign minister said it was too early to speak about the future of the Minsk accord on Donbass. 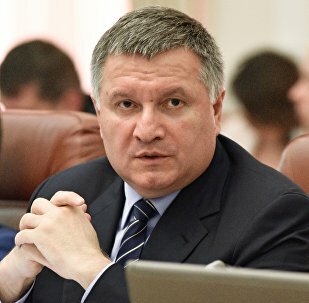 Ukrainian authorities are ready to compromise in developing the roadmap to implement the Minsk agreements, Deputy Head of Presidential Administration Konstantin Eliseev said Friday. 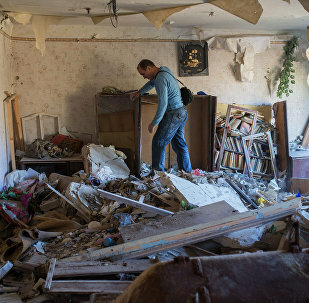 Moscow did not promise to ensure complete cessation of hostilities in Donbass since Moscow is not party to the conflict between Kiev and the Donbass republics. The death toll in the two-year conflict in eastern Ukraine surpassed 9,600 people with more than 22,400 wounded as of Thursday, the UN Human Rights Office of the High Commissioner’s (OHCHR) monitoring mission in Ukraine said. Germany cannot confirm the host for meeting of the Normandy format leaders, a spokesperson for the German chancellery told Sputnik on Wednesday.